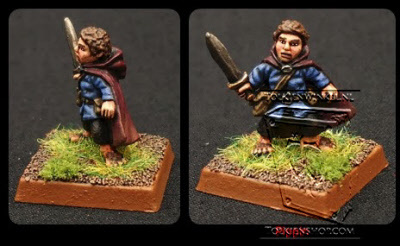 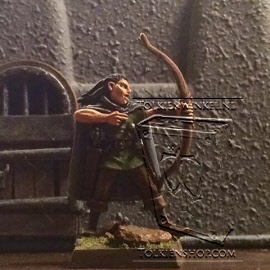 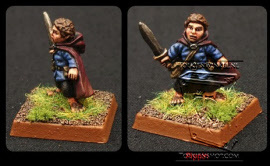 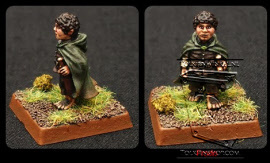 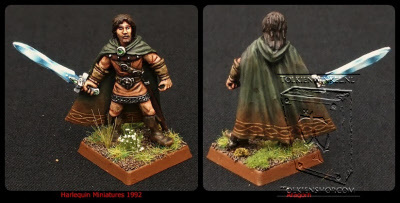 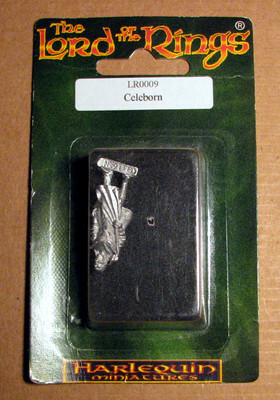 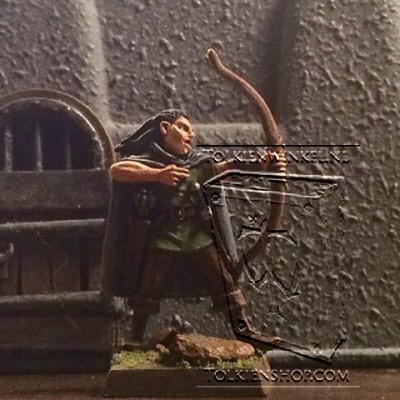 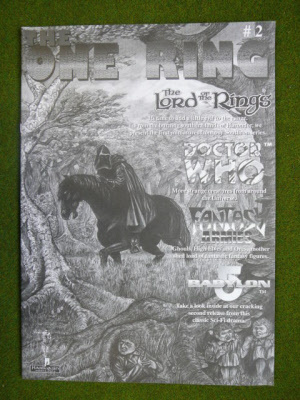 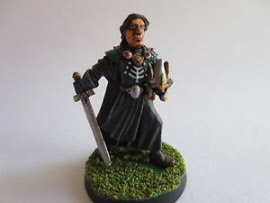 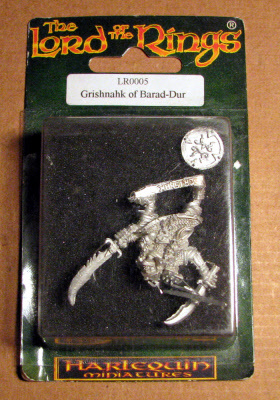 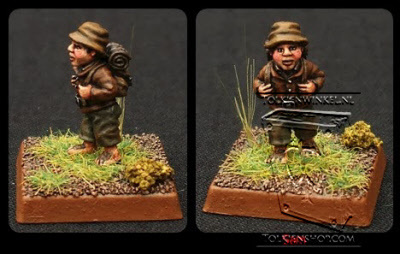 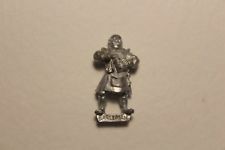 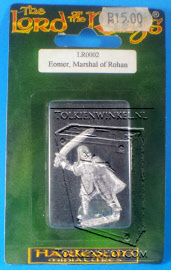 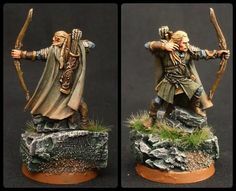 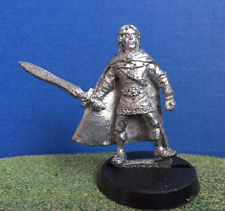 This British company started in the late 90ties a range of metal miniatures in the familiar 32 mm size, based on the books by Tolkien. 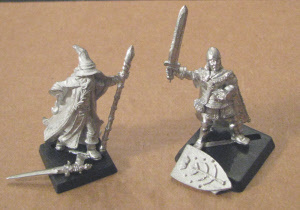 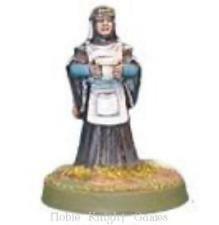 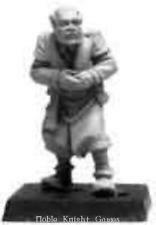 They lost there license to Games Workshop, who opted for the same size, so the figures can be mingled. 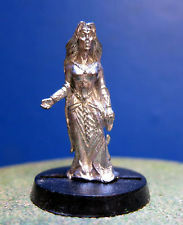 Sold unpainted. One soldier with an axe, the other with a banner. 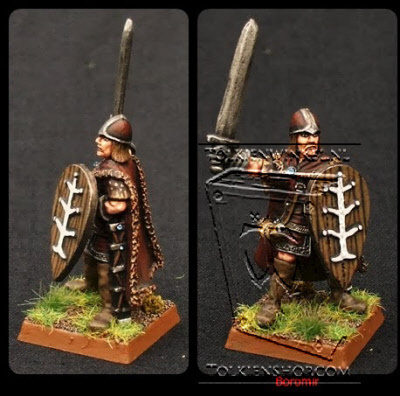 Knight from Gondor with sword.